Board software gives bank boards the ability to fully operate, deliberate, and vote from anywhere in the world. Board members are busy. A well-designed board portal creates a fully digital deliberative experience. Common board portal features include instant messaging, file sharing, scheduling, and polling. At face value, these features might leave you thinking “why don’t we just use a messaging app?”. Let’s talk about it. 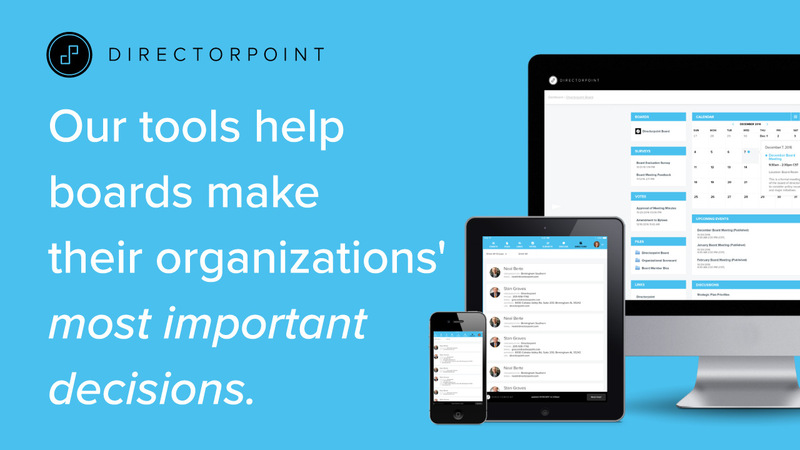 While it’s true that some enterprise messaging and collaboration solutions share certain elements with popular board portals, they lack the functions and features which matter the most. At its core the difference between a bank board using conferencing or messaging apps over board software for discussion and deliberation comes down to the features. You don’t rake leaves with a fork, you don’t fight forest fires with a squirt gun; and you do not use communication tools for deliberation. Of course, strong communication plays a vital role in the decision-making process. Of course it does. But using tools designed for communication leaves bank boards unequipped to face the challenges of deliberation. Let’s take a brief look at how some of the features of communication software fall short when used in a board’s decision-making. Let’s take a look at one popular enterprise teleconferencing solution: WebEx. WebEx has a polling feature which allows users to vote for a single item from a list of many. It’s not anonymous. More importantly, it’s not voting. The system is not designed to be truly unambiguous. Close, but no cigar. But bank boards need the “cigar”. Businesses in the financial sector answer to more regulators than in most other industries. They bend over backwards to remain compliant. Recording votes using anything other than features designed specifically for this purpose can be costly. Bank boards may face limitations from their bylaws which can dictate what electronic resources they’re allowed to use. Bylaws which allow for the use of electronic technology may not extend to the polling feature offered by WebEx. 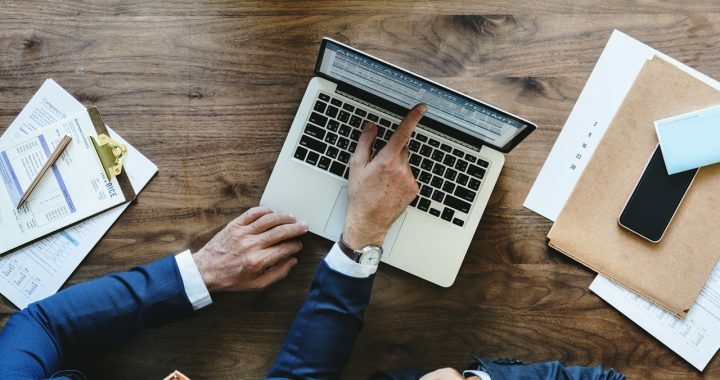 When it comes to the difference between enterprise messaging or conferencing solutions and a board portal, security matters. Most enterprise conferencing software are SOC 2 compliant. SOC 2 (or II) dictates a set of standards providers must meet to store their customers’ data in the cloud. But the strength of data security isn’t the key differentiator; it’s the scope. Board portal software like Directorpoint allows bank boards to schedule content for automatic deletion after a predetermined period of time has elapsed. While some enterprise solutions offer data or file retention features, they rarely come standard with the platform. When bank boards compare the differences between board software and conferencing apps, annotation features are something of a mixed bag. Conferencing software like WebEx typically allows users to mark up your screen. Other software allows bank boards to take notes directly on the documents being discussed. Most messaging apps don’t offer these features at all. Board software like Directorpoint is one of the few solutions for allowing bank boards to take full, detailed notes directly on the board packet and other shared materials. The annotated documents can even be downloaded and shared with other board or committee members. We won’t pretend there aren’t similarities between conferencing or messaging apps and board software. There are; lots of them. But the differences between the two options are, in most cases, the deciding factor when a banks chooses to use board software instead. These differences stem from one core idea. Conferencing and messaging solutions value discussions over decisions. Directorpoint is dedicated to helping banks make better decisions “across the board”. That dedication is baked into our software’s design. Board software is made for making informed, effective decisions as efficiently as possible. We know that any opportunity to bring seasoned industry veterans; each armed with decades of experience; together at one time is an opportunity no bank can afford to waste. Every second counts. Each time a board member encounters some obstacle stemming from enterprise communication software falling short of their needs translates to a few seconds of their time. This can be the time it takes to transition from a messaging app to a PDF reader. It could be transitioning from conferencing software to your notes on a word processor. We’ve said it before, spreading the features of a board portal across multiple apps means sacrificing valuable time during board meetings. This problem is only amplified when bank boards don’t use tools designed to cater to their specific needs. Deloitte surveyed board members from 250 organizations back in 2014. They found that 83% of boards in the financial sector have more than eight members. This means that, in order to make effective and informed decisions, bank boards can only move as fast as their least technologically proficient member. Even using a single app designed specifically for bank boards, it’s impossible to expect everyone to navigate the software at the same speed. Whether they use one portal app or many; whether it’s a board portal or enterprise communication software; bank boards are always at the mercy of the learning curve. The extent to which a board software vendor is able to provide banks with a seamless user experience may vary. However, using software that’s built with boards in mind does infinitely more to address the learning curve than your garden-variety communication platform. Even if there are gaps in a board software design; even if that board software spreads its features across multiple apps; bank boards will always benefit more from software that’s designed to meet their needs. It’s just that simple! In our next article, we’ll dive into the differences between using enterprise communications software and using a board portal whose features are divided up between multiple apps. We don’t want to spoil the ending, but neither option is better than using a single board software for informed and effective decision-making. Visit our blog for the latest insights, best practices, and research on board governance and decision-making. If you want to learn more about what Directorpoint can do for your bank, schedule a demo, contact us online, or call (888) 492-7020 today! Posted in Blog and tagged Bank Boards, Board Portals, board software, communication, Features.